Algorythm is a tasteful and skillful set of tech death compositions that put Beyond Creation at the top of the metal heap. As with any subgenre, there are multiple interpretations of technical death metal. From the progressive sounds of Rivers Of Nihil to the almost comically rapid fretting of Archspire, the genre can encapsulate a variety of approaches. Today, we get to talk about one of the most fluent tech death bands around, Beyond Creation, and their new record, Algorythm. 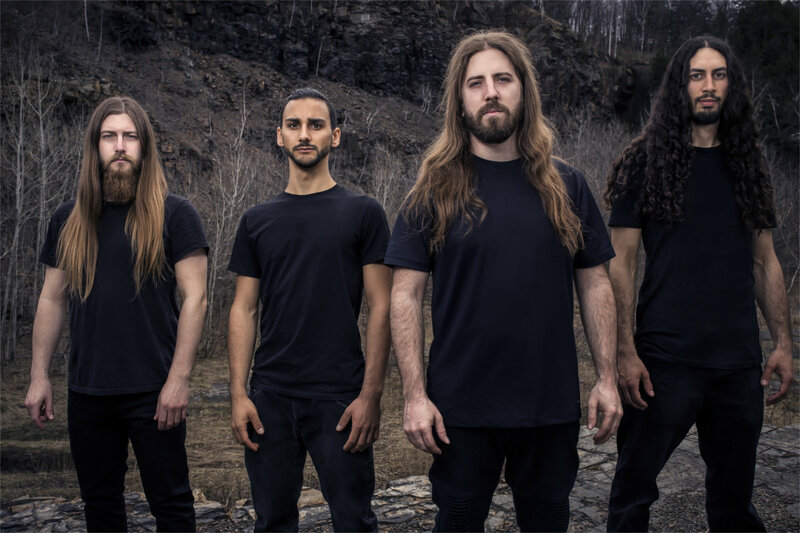 Hailing from Montreal, the band have managed to make a big impact with their previous releases and landed a deal with heavy music giant, Season of Mist. This band is carrying a large amount of momentum with them and that energy has bled into their latest effort. Let’s get started with the intro track, “Disenthrall”. If you’ve read any of my reviews, you’ll know that more often than not, I berate the use of a small and often pointless piece of ambiance to begin the record. Beyond Creation have earned an exception with this one. Given the higher concept and epic atmosphere of Alogrythm, it’s a perfect way to get in the headspace for what’s to follow. It’s percussive, expansive, and conjures imagery that is fitting of this record. It also transfers the listener into the first sung track of the record, “Entre Suffrage Et Mirage”. With a litany of riffs and sung in their native French, it’s a mid-tempo affair that showcases the incredibly talented band in their element. You can hear bassist Hugo Doyon-Karout’s fretless slides darting to and from behind the fray, and the drumming by Philippe Boucher is dense and appropriate. ‘Appropriate’ is a great word to describe this record. Yes, it’s tech death, and there are plenty of flashy moments, but amidst all of the virtuosity, it never feels indulgent. “Surface’s Echoes” is close to seven minutes and contains open-string picking, angular riffing, and blistering solos all to great effect, making the time just slip by. This song is a masterclass on how to build a listenable and entertaining composition that still lives up to the tech death expectation of extreme musicianship. While there’s nothing wrong with the ‘look how fast I can play’ approaches, to each their own, Beyond Creation focus on creating an auditory tapestry with their songs, and this suits them well. It also makes for an easy listen, despite the long runtime and cacophonic instrumentation. The title track begins with a groovy bassline and keeps the pace moderate throughout. The solos from each guitarist fit tastefully within the song and make the entire package one of the finest on the record. Speaking of taste, those of you with a penchant for classical piano will get a dose of that from the sixth track. “À Travers Le Temps Et L’Oubli” is a two-minute instrumental segue that enriches the pacing of the album. It’s also stunningly beautiful. I enjoy that “In Adversity”, the track which follows it, is the most metal thing on the record. More arpeggiated solos abound, and the vocals are as nasty as they ever get. “Binomial Structures” follows and slows things down and allows for more atmosphere to eek out of their instruments. It’s an instrumental piece that I would almost dub ‘post tech death’, but I won’t, because that’s just silly. Algorythm was high on my watch list for this year and my expectations were pretty high. After I heard the lead singles for the record, I was feeling good about what Beyond Creation were doing. After spending time with the entire release, I can safely say that this is one of the best metal records of 2018. It’s tasteful, effortless, and still manages to showcase the strength of each member of the band. It’s also beautiful and epic so pipe this into your ears as soon as possible.